One/some/several “entities” decided at 9:38 a.m. this morning that it was necessary to dump 14,315 contracts of paper gold. This is just the August contract. In total a lot more was unloaded. This represents 1.43 million ozs of gold. The Comex is only showing 900,000 ozs of “gold” as “registered,” or available for delivery in June, July and August (assuming all of that gold is actually sitting physically in the Comex vaults as reported). If we make that generous assumption, 531,000 ozs of paper gold was naked shorted. The news report or event that triggered this sudden need to unload / naked short 40.5 tonnes of paper gold beginning at 9:38 a.m. EST is not clear. The mainstream financial media is attributing the dump in gold to the “anticipation of Comey’s testimony.” But this is patently absurd, if not a complete insult to the public’s intelligence. The market has known all week that Comey was testifying this morning and it was generally know what he would say. With all the frenzy connected to the parabolic rise of cryptocurrencies, one has to wonder why the western Central Banks are concerned with controlling the price of these block-chain based digital currencies. If the Comey testimony was a reason to push down the price of gold, why were the “flight to safety” cryptos left alone? Even more insidious is the notion that “money” in a checking account belongs to the person who made the deposit. In fact, your money sitting in any bank account is no longer in your ownership. You have ownership of an unsecured liability issued to you by the bank. The bank takes your money and “hypothecates” it – or lends it out. If the bank loses that money and can’t honor its liability to you because enough loan counterparties defaulted and the bank is insolvent, you will never receive the full value of the bank’s debt obligation. Welcome to the new world of bail-ins. But gold in your possession does not have that problem. Rory Hall of The Daily Coin interviewed James Turk about a new type of non-bank banking service called Bitgold. He discusses the unmitigated advantages of using Bitgold vs. a traditional bank account. I have moved U.S.Government electronic monopoly money from my checking account into my Bitgold account every day this week, including today. I don’t have the funds required to buy a 1oz. bullion coin everyday, but BitGold allows me to accumulate .9995% gold grams. This is bona fide allocated gold. I look at this manipulated take-down of the gold price as a gift from the Fed because it enables me to purchase more Bitgold gold every day the dollar price of gold declines. When the dollar price of gold moves back up, my Bitgold account will increase in value. That does not happen with dollars sitting in a checking account. They just sit there like a Pet Rock, earning no interest. If the bank becomes insolvent, the Pet Rock has no value to me. I want to make it clear that I’m not an affiliate or associated with Bitgold and do not get any ad revenues from Bitgold for the display link at the top (although I’m sure I could if I requested it). I just really believe in the service and I think anyone can benefit from moving their digital bank credits out of the global Central Banking system and in to Bitgold. I receive a 2% “bonus” if someone uses the links on this site to sign-up for Bitgold and everyone who opens a new account that is funded receives a 5% bonus. 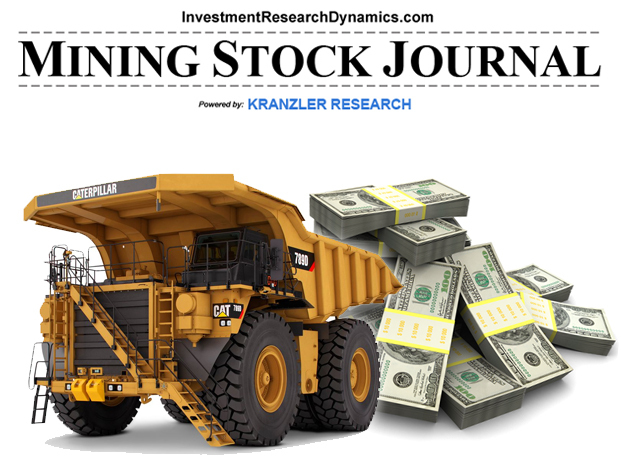 I had an in-depth conversation with the CEO several weeks ago and when I find the time I am going to share my analysis of the with the subscribers of my Mining Stock and Short Seller Journals. I described the other day what a circus the inter-FOMC meeting periods have become. One by one Fed clowns appear to describe an economy at full employment and threaten us with another one-quarter of one percent Fed Funds rate hike. Since this process has started last Monday, the S&P 500 has been flat but gold has been taken down methodically about $80, or 6.7%. 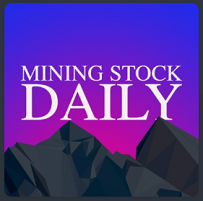 The mining stocks as represented by the HUI have been dropped 12% from their high last week. Yesterday the circus took on a new dimension. SF Fed John Williams was once again out promoting rate hikes this year and even more rate hikes next year – LINK. St Louis Fed clown Bullard was out yesterday pontificating that low rates for too long could be risky – LINK. You don’t say, James? Is he referencing the nominal .25% Fed funds rate since lat e 2008? OR is he referencing the negative real interest rates since well before 2008? To which measure of interest rates are you are you referencing, James? They both made some insane assertions about “full employment” in the economy. Does that mean that anyone who wants to be a bartender or barista can find gainful employment? But what about the 38% of the population that is no longer counted as part of the labor force? A large majority have given up looking for work because it’s easier and pays better to soak off the taxpayer via Social Security Disability, Welfare and Student Loans. Everyone knows that the true unemployment rate is over 20%. This is based on applying the way the Government calculated unemployment in 1980. We still have the issue of data collection and “massaging.” The economy is far from healthy and the flow of economic reports from private sector sources, including regional Feds, continue to reflect an economy that is deteriorating down the level of economic activity in 2009. The Fed needs to promote the idea of rate hikes in order to show consistency in policy with its narrative of “full employment, tight labor market conditions and an improving economy.” Just as important, it reinforces the Fed’s ability to manipulate the price of gold. 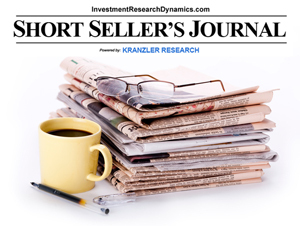 The source of frustration for many of us is that higher rates correlate with lower stock prices and higher gold prices. Days like today in the markets are difficult to watch because it’s driven entirely by false propaganda and direct intervention in the market by the NY Fed/Exchange Stabilization Fund. While days like today may be painful to watch, the truth is that since the Fed began bashing gold with rate-hike drivel starting last Monday, the S&P 500 has not moved higher despite days like today which make it feel like the stock market is poised to hit an all-time high. When the Fed pushes down the price of gold with paper during NY Comex floor-trading hours, take advantage of it by buying some physical gold or silver. I have moved U.S.Government electronic monopoly money from my checking account into my Bitgold account every day this week. I don’t have the funds required to buy a 1oz. bullion coin everyday, but BitGold allows me to accumulate .9995% gold grams. This is bona fide allocated gold. The Federal Reserve’s “invisible hand” in the markets is no longer “invisible.” It’s become obvious to most market participants that the Fed is working hard to keep the stock market from collapsing and the price of gold below $1300. But why? Gold’s path looks like Niagra Falls in the graph above because shortly after the Comex opened this morning because “someone” decided to dump over 55,000 contracts onto the Comex. 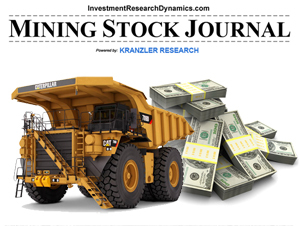 55k contracts translates into 5.5 million ounce of theoretical gold. “Theoretical” because it’s only in theory that the Comex has 5.5 million ounces of gold to deliver. Currently the Comex is reporting a little over 697k ounces that are available to be delivered into the paper gold contracts that the banks print up and dump on the market. The Comex vaults are showing a little over 7 million ounces in total in the vaults. This is highly theoretical because most of the gold is accounted for the big bullion banks. I use “accounted for” loosely because there is no mechanism in place to hold the banks accountable for what they are reporting. In the graph to the left (click to enlarge) there’s been a definitive trading pattern that doesn’t take Einstein’s eyes and brain to see. 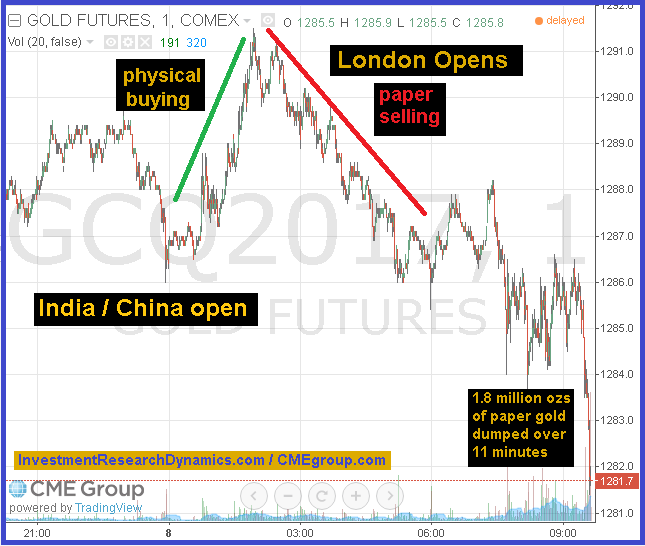 For the last three trading days, gold has moved higher prior to the opening of the Comex floor in NYC only to be price-smashed with a deluge of paper contracts representing little more that theoretical gold. But I prefer the real thing. I actually welcome these price hits because it enables me to move theoretical electronic currency from my bank account into a bona fide gold currency in a BITGOLD account. When gold moves higher, my net worth will be the beneficiary of the Fed’s market interventions. I look at it as grabbing my share of the wealth being transferred by the Fed/Government from the besotted middle class to those who know what’s going on. I want to preface this commentary with the “proviso” that I have no idea how violent to the downside this attack on the precious metals will get. No one does. It could end today; it could end at the 50 dma (approx $1,248 on the front-month paper gold instrument traded on the Comex); it could go all the way down to the 200 dma. Even the banks who are driving this activity have no way of knowing. I am using every step down in gold to move more money into my BitGold account. The account functions almost like a checking account. You get assigned individual kilo bars or interest in a kilo bar when you move money into the account. You benefit to the upside when gold shakes off the intervention and moves up again. You also can get a Mastercard that lets you access the funds easily. The best part is that BitGold operates outside of the Central Banking system. Click here – BITGOLD – or on the image to the right to get started. 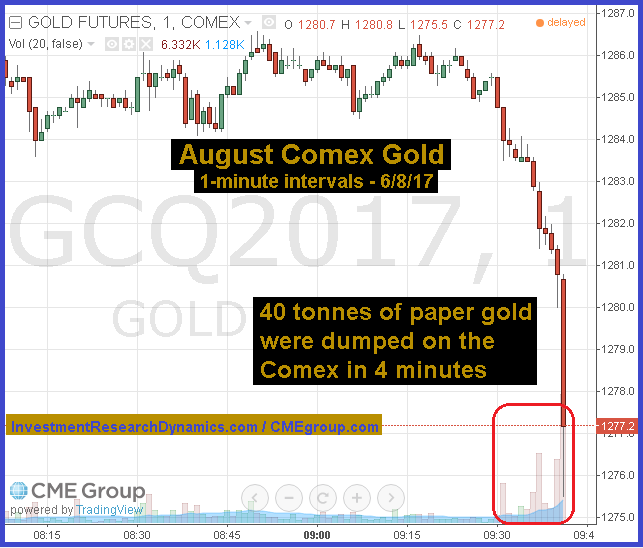 Gold began selling off as soon as the Globex Comex computer system opened for the week Sunday evening (6:00 p.m. EST). 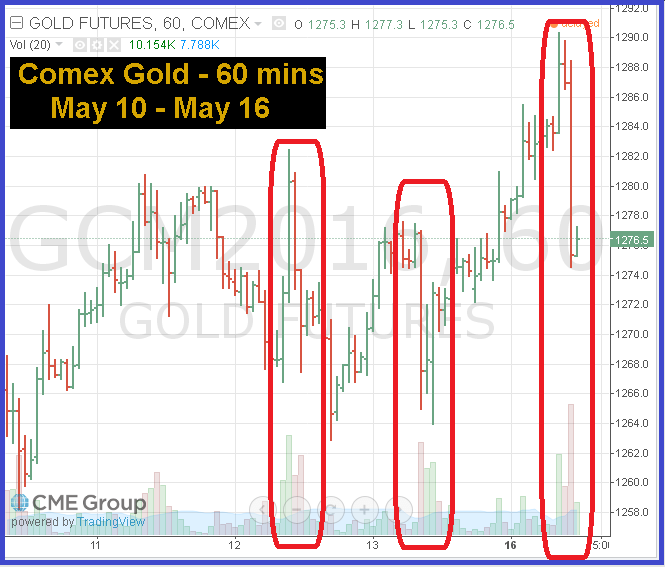 But the distinctive “waterfall” price plunges did not begin until about 30 minutes after the open of the Comex floor trading at 8:20 a.m EST (Click on the image to enlarge). 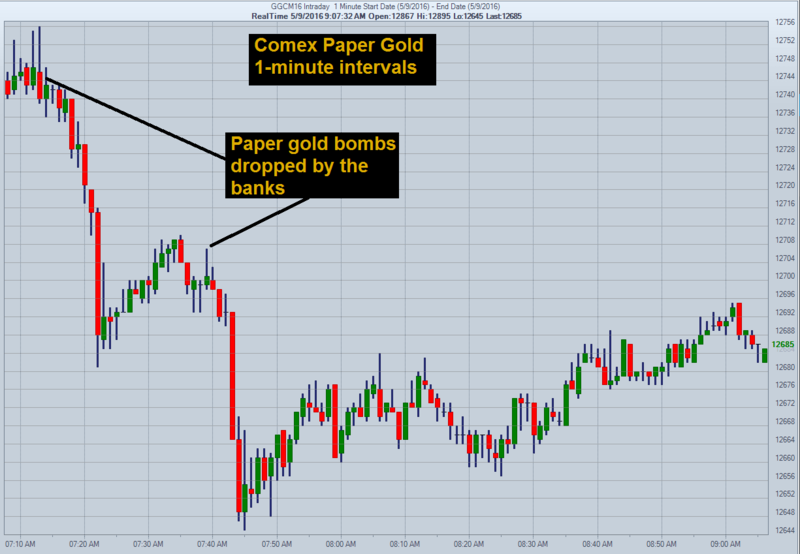 This trading pattern is characteristic of the paper bombs the bullion banks throw at the market in order to trigger the stop-losses set by the hedge funds. The trading is mostly computer-based. Trading volume was light compared to the spike up on Friday after the jobs report, which makes it easier for the banks to plunge the market. Note: if anyone wants to learn about the mechanics involved in “plunging” the markets, read “Reminiscences of a Stock Operator” by Edwin Lefevre. It’s the unofficial biographical accounting of Jesse Livermore. It’s a must-read for anyone who wants to understand the extent to which the current market is rigged. The only difference between now and the 1920’s is that now the Central Banks are directly behind the activity and they are driven by an entirely different motive than that of Jesse Livermore. Speaking of the jobs report, the most idiot attribution for the sell-off in gold comes from Investing.com – LINK – which “informs” us that gold futures fell overnight because “investors viewed Friday’s jobs data as less disappointing than first thought.” I don’t really know how to respond to that assertion other than to question the author’s relative level of intelligence. This is an HFT computer algo attack operation. They have a problem with the physical market. I surmise that it’s worse in silver than in gold. Gold is now only 1.4% away from a 50 dma “correction.” The 50 dma has been pretty good support. There’s a good possibility that the 50 dma will “stop” the sell-off. If not it will drop pretty quickly to the 200 dma. Either way, the only way to take advantage of this is to add to positions with every “step function” price plunge lower. The market sentiment levels per Marketvane and the HGNSI are still not even remotely close to levels that indicate a contrarian sell-off is likely. In fact, if anything, the continuous flooding of anti-gold propaganda from the media and Wall Street convey a sense of desperation from the powers that be that derive their “power” from an ability to control fraudulent fiat currency. One would have to be blinded from either denial or ignorance not see the escalating political and military tension between the U.S. and Russia/China. While the U.S. media spins the story into a tall-tale in which BRIC nation leaders are the provocateurs, the truth is that the U.S. has transformed its illegitimate “war on terror” into war on the world in a last-gasp attempt hold onto the economic and geopolitical hegemony it has enjoyed for several decades. If you reread that passage, think about how it applies to the Patriot Act, Homeland Security Act, Wall Street, the Justice Department and Hillary Clinton. It’s pretty obvious the U.S. is collapsing economically, politically and socially. The San Francisco Fed’s “President,” John Williams was blowing his weekly smoke on Monday. He said that higher interest rates would trigger “big movements downward” in asset valuations. He didn’t exactly discover plutonium with that revelation. But with his comments, Williams inadvertently admitted that the policy makers were responsible for creating what is now the biggest asset bubble in history. This is not going to end well. By law the U.S. Mint is supposed to produce enough silver eagles to meet demand. Originally the law stated that the silver used in U.S. minted coins had come from U.S. mines. The U.S. produces roughly 40 million ounces of silver per year. About five years ago the demand for silver eagles began to outstrip the amount of silver sourced from U.S. mines that could be made available for silver eagle production. The law was amended to enable the mint to use silver imported from Mexico. From time to time since the summer of 2008, the U.S. mint has had to halt its silver eagle sales because of a shortage of silver. This occurred once again in the middle of 2015 and the production halt lasted about 3-4 weeks. Since that time, the mint has limited the amount of silver eagles to one million coins per week. In 2015 the mint sold 47 million silver eagles, an amount which was stunted by the production halt. It is likely that the mint would be able to sell in excess of 60 million silver eagles in 2016 in the absence of production limits. Make no mistake, curtailing production like this is nothing more than a form of price control. If the demand for silver eagles outstrips the supply, then the price should rise. “Price” is the ultimate mechanism by which supply and demand is equalized. That is a law of economics. If the demand for silver eagles is greater than supply because the mint can’t secure enough silver to meet demand for its product, then let the price of silver rise to the point at which supply and demand equalize. That’s how free markets are supposed to function. The fact that the U.S. Government has had to impose production controls on the production of silver eagles is one of the many indicators which reflect the fact that the Government is losing control over the financial and economic system. The relative price of gold and silver is a thermometer that measures the degree of systemic health at any given point in time. Since gold and silver hit interim bull market highs in 2011, the western Governments and Central Banks have colluded to suppress the price of gold and silver. This was imperative to their ability to continue the massive transfer of wealth from the middle class to the ruling elite through the use of Wall Street’s financial Ponzi schemes and the Fed’s ongoing debasement of fiat currency. Gold and silver appear to have found their final bottom in the nasty 4-plus year price correction that began in May 2011. Too be sure, this “correction” was largely a product of Central Bank intervention which was implemented to prevent gold and silver from signalling to the world that Governments globally, especially the U.S. Government, are in the process of destroying middle class wealth through the incessant debasement of paper currencies. Since late July/early August, gold has moved up over 9% from its bottom ($1085, futures basis) and silver is up 14.5% from its bottom ($14.07, futures basis). Of course, it remains to be seen if this is going to be more than a dead-cat bounce before the metals head back to re-test their bottom or set new lows, but specific market signals are suggesting that there’s a strong probability that the precious metals have embarked on the the long-awaited resumption of their secular bull market. Backwardation shouldn’t happen in the gold market. The arbitrage opportunity should take it away. But we saw it 1999 for a couple of days when gold was its low and we saw in 2008 for a couple of days when gold reached its low then. We’ve seen backwardation more often than not since January 2013 when the Fed’s QE3 program started. While backwardation occurs when there’s a shortage of physical gold available for immediate delivery on a “wholesale” basis – i.e. very large quantities – it also reflects that fact that investors prefer to hold onto the gold they have in possession rather than lend it to the market in exchange for the market’s promise to re-deliver that gold in the future at a lower cost to the investor.